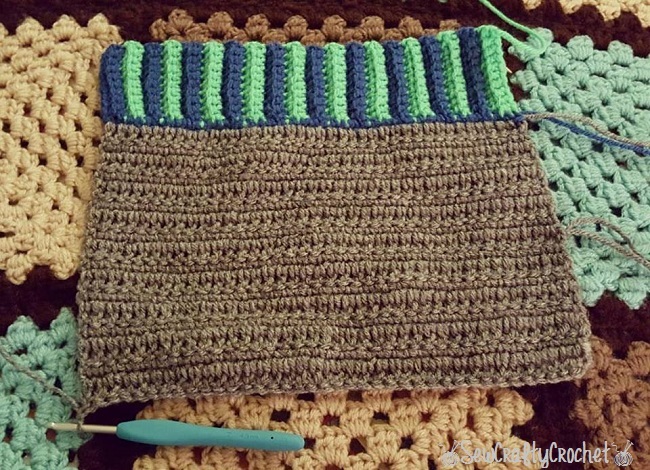 Since the body of the stocking is gray, I did the ribbing in blue and green (Go Seahawks!). 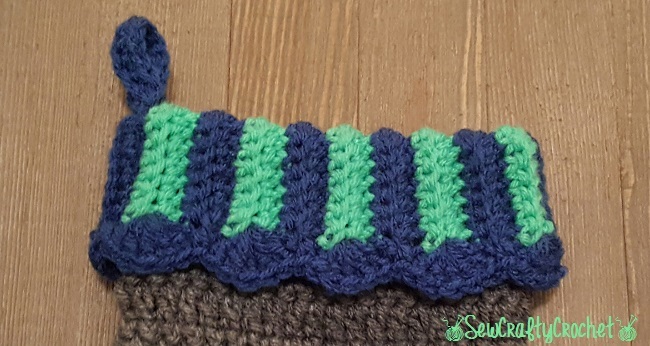 The stocking hanger is green as well. 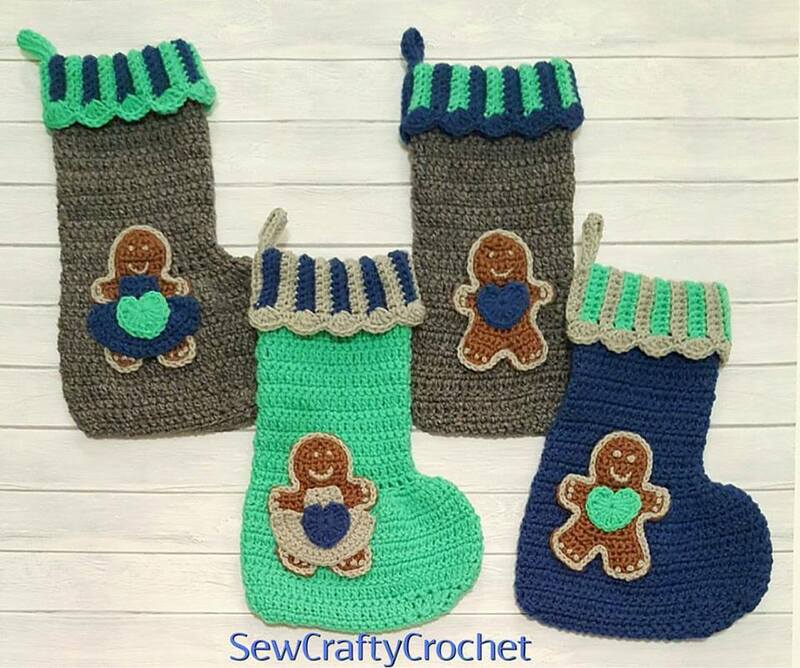 When I made the stockings, I made the gingerbread people in pairs. 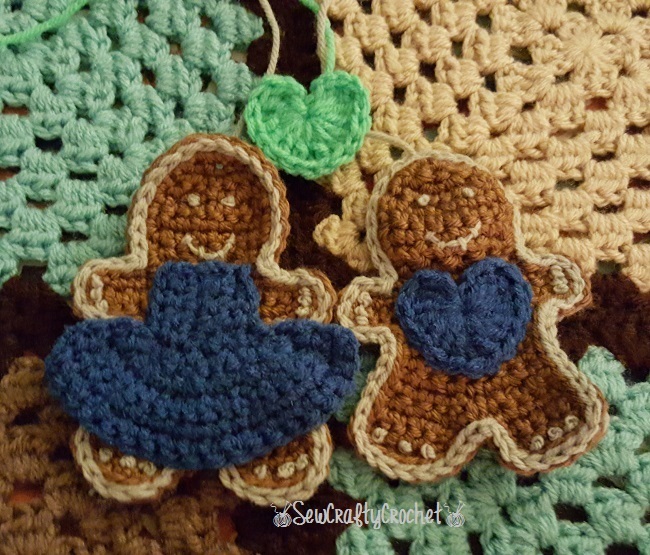 I gave this gingerbread guy a blue heart, and the gingerbread lady is wearing a blue dress, which will have a green heart sewn onto it. 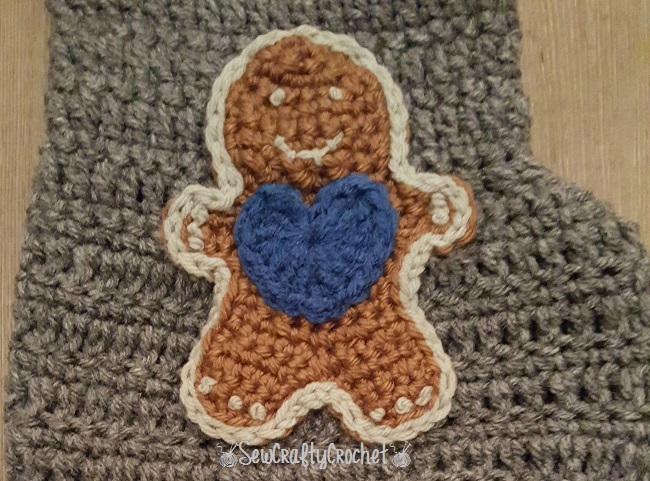 After completing the body of the stocking, you sew on the gingerbread boy/girl. Ta-Da! 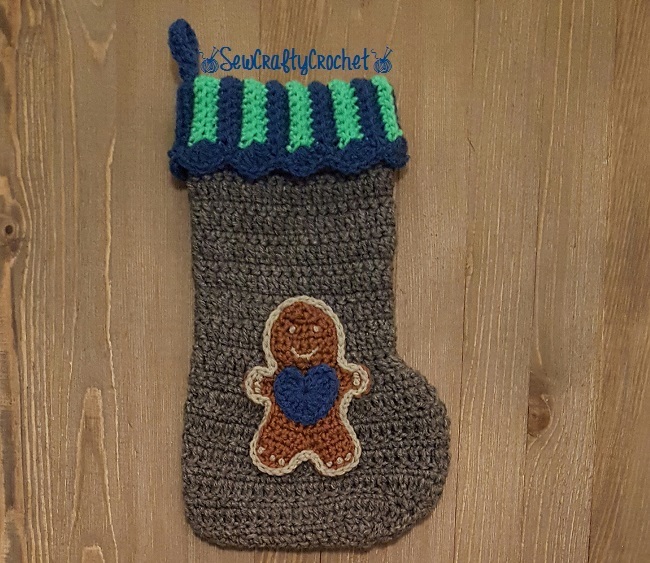 This stocking is ready to be stuffed with fun gifts! 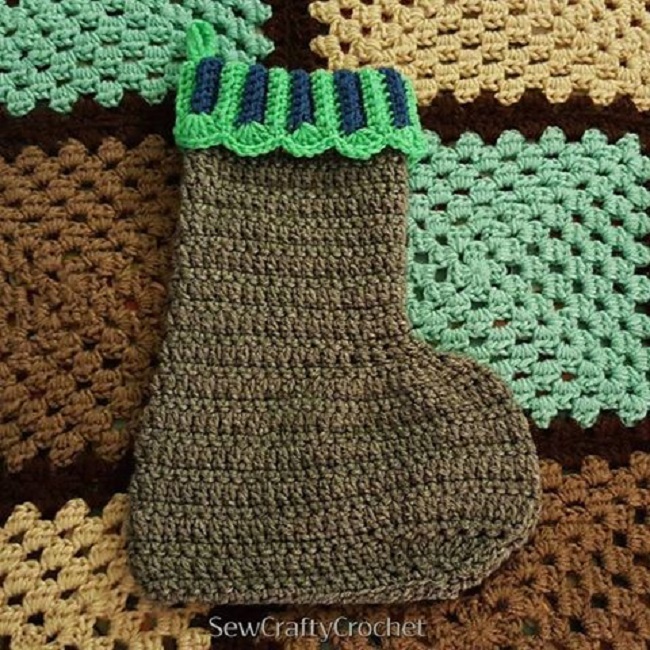 Here are our family's stockings!